Anatomy of leaf cross sections were carried out on the three food plants that are used medically in the family Rosaceae; Mespilus germanica L. (Muşmula), Malus sylvestris (L.) Mill. (Elma) and Cydonia oblonga Mill. (Ayva) Anatomical features of the leaves were good taxonomic markers, especially concerning their palisade cells, cuticle, vascular bundles, crystals, stomatal index, and stomata structure. The bifacial blade has a heterogeneous and hipostomatic mesophyll and possesses a fascicular vascular system. Non-glandular trichomes are present in the lower epidermis. Paradermal sections of the lower epidermis disclose epidermal cells with undulate walls and anomocytic stomata type for C. oblonga and M.sylvestris, but actinocytic stomata type for M. germanica. It was calculated that the stomatal index ranges 16.08 μm-22.54 μm. This is the first study of leaf anatomy on the species. Aldasoro, J.J., Aedo, C. & and Navarro, C. 1998. Pome Anatomy of Rosaceae Subfam Maloideae, with Special Reference to Pyrus. Annals of the Missouri Botanical Garden, 85 (3), 518-527. Altundaga, E., Ozturk, M., 2011. Ethnomedicinal studies on the plant resources of east Anatolia, Turkey, Procedia Social and Behavioral Sciences 19, 756–777. Baytop, T., 1999. Curing with plants in Turkey, in the past and today (Türkiye’de bitkiler ile tedavi, geçmiste ve bugün), (2nd ed.). Nobel Medical Boks, Capa, İstanbul, 299 p.
Gruz, J., Ayaz, F. A., Torun, H., Strnad, M., 2011. Phenolic acid content and radical scavenging activity of extracts from medlar (Mespilus germanica L.) fruit at different stages of ripening, Food Chemistry 124, 271–277. Kargıoğlu, M., Cenkci, S., Serteser, A., Evliyaoğlu, N., Konuk, M., Kök, M.Ş., Bağcı, Y., 2008. An Ethnobotanical Survey of Inner-West Anatolia, Turkey, Hum Ecol 36, 763–777. Kızılarslan Ç., Özhatay, N., 2012. Wild Plant Used as Medicinal Purpose in the South Part of İzmit (Northwest Turkey), Turk J. Pharm. Sci. 9(2), 199-218. Phipps, J. B., K. R. Robertson, J. R. Rohrer & P. G. Smith. 1991. Origins and evolution of subfam. Maloideae (Ro- saceae). Syst. Bot. 16: 303-332. Rohrer, J. R., K. R. Robertson & J. B. Phipps. 1991. Variation in structure among fruits of Maloideae (Ro- saceae). Amer. J. Bot. 78: 1617-1635. Rohrer, J. R.,K. R. Robertson & J. B. Phipps. 1994. Floral morphology of Maloicleae (Rosaceae) and its systematic relevance. Amer. J. Bot. 81: 574-581. Rop, O., Sochor, J., Jurikova, T., Zitka, O., Skutkova, H., Mlcek, J., Salas, P., Krska, B., Babula, P., Adam V., Kramarova, D., Beklova, M., Provaznik, I., Kizek, R., 2011. Effect of Five Different Stages of Ripening on Chemical Compounds in Medlar (Mespilus germanica L.) Molecules 16, 74-91. Salisbury, E.J. 1927. On the causes and ecological significance of stomatal frequency, with special reference to the woodland flora. Philos. Trans. R.Soc. London B 216: 1–65. Şenkardeş, İ., Tuzlacı, E., 2014. Some Ethnobotanical Notes from Gündoğmuş District (Antalya/Turkey), MÜSBED, 4(2):63-75. Sterling, C. 1966a. Comparative morphology of the carpet in the Rosaceae. VII Pomoideae: Chaenorneles, Cydo- nia, Docy-nia. Amer. J. Bot. 53: 225-231. Sterling, C. 1966b. Comparative morphology of the carpel in the Rosaceae. IX. Spiraeoideae: Quillajeae, Sorbarieae. Amer. J. Bot. 53: 951-960. Tuzlacı, E., Tolon, E., 2000. Turkish folk medicinal plants, part III: Şile (Istanbul), Fitoterapia 71, 673-685. Yesilada, E., Sezik, E., Honda, G., Takaishi, Y., Takeda, Y., Tanaka, T., 1999. Traditional medicine in Turkey IX: Folk medicine in north-west Anatolia, Journal of Ethnopharmacology 64, 195–210. ISNAD Koçyiğit, Mine , Büyükkılıç, Betül , Altınbaşak, Onur , Ubul, Nurbiye . "Comparative leaf anatomy of three food plants that are used medically; Mespilus germanica L., Malus sylvestris (L.) Mill. subsp. orientalis and Cydonia oblonga Mill. (Rosaceae)". 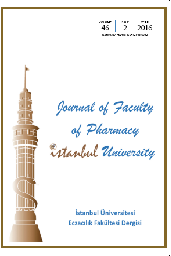 Journal of Faculty of Pharmacy of Istanbul University 46 / 1 (August 2016): 39-48.